Tie is the versatile accessory that is worn with a formal attire but now wearing a tie is not only restricted to formal, rather they can styled with your semi-casual outfit too. Wearing a tie means gathering all the attention so it's your duty to tie them properly and neatly. If this is your problem then make sure you give proper time in the morning so that you don't face any stress. When you are done learning tie, then the next thing to keep in mind is the perfect length. You can't afford to walk around with a short tie or long tie. The perfect length would be till your waist line, this somehow depends upon your neck size. We already know that the tie is the best accessory and it can distract from your outfit if you prefer wearing a bright color. So, it's better to choose color that compliment your look and shiny ties in bright color is not a good idea. If you are wearing a white shirt then you can wear any tie color and pattern shirt will enhance your look a bit more. You will definitely wear either a black bow tie or a normal tie at a black tie event whereas white tie events are basically more formals. So, think before you style them. Ties are worn around a collar wear so make sure you find s shirt. If you are planning to wear a colored or a plain shirt – go for a pattern shirt but avoid this if you are wearing a patterned shirt. Length of a tie must be accurate. There is no place for too short or too long. Save your novelty ties for Christmas or fancy dress party. On That Note: Ties goes with almost every outfit so it's not necessary to wear only with formals. 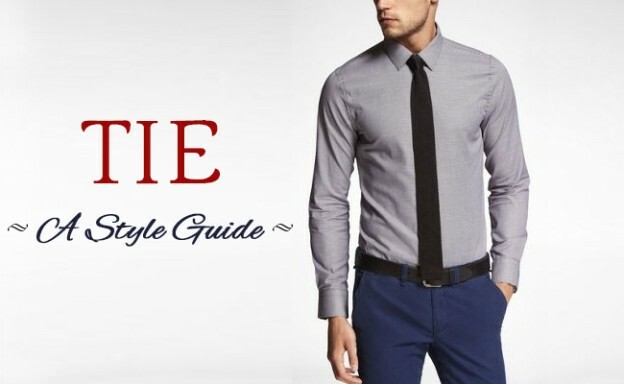 You must know the tricks of flaunting and wearing the tie and how to carry them. Make sure you don't clash with colors.